I am forever burning holes into my bedding thanks to my straighteners and curling wands because I don't have a practical work station to get ready at. I'm usually just sitting on my bed making a mess everywhere so this is such a handy item! It's pretty simple but makes a huge difference. Also stops my mum shouting at me for ruining duvets and pillows. Some of you may have read my How To Clean My Make Up Brushes post where I featured the glove I use to get all the gunk out of my brushes. Well as I was just scrolling through the beauty category of ebay I came across this little cutie. It pretty much does the same thing as the glove does but is a lot more travel friendly and practical to use. And for 99p who's complaining? As a reader of my blog you might already know about my love for primers! It has become an absolute necessity in my daily make up routine so I came across this slick looking product and thought I'd give it ago. So far I have been pretty impressed but I haven't given it a proper test run cos I'm still obsessing over my L'Oreal Infallible Primer at the moment. But as soon as I have a verdict I'll share my opinions. Seems like everyone and their mum's have heard of this bargain item and I'll be doing a whole blog post on them soon so I won't go into too much detail. But these brushes are AMAZING and such great value for money! I recommend everyone jumping on ebay and ordering a set for themselves, you get such a nice range of brush types and the quality is of really high standard! How is this so amazing? I just don't get it. My cousin told me about this mascara a little while back and I'm so glad she did! I jumped straight on ebay and picked one up for myself. The first time I used it was in such shock at the difference it made to the length of my eyelashes! I think I've ordered about 4 more of these as gifts for my mum to give her friends and they are raving about it too. 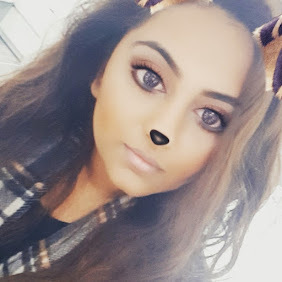 I'll do a whole blog post on it soon, but let's just say I'm a huge fan - but it's no something I can wear everyday without looking a bit draggish! 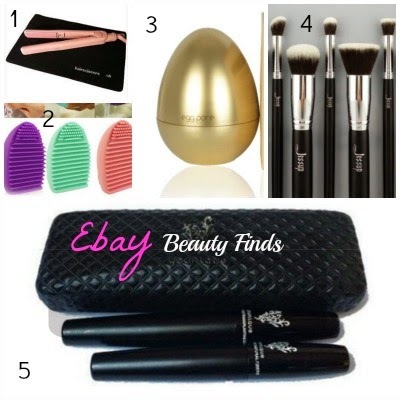 I love shopping on ebay to find great beauty deals and bargains. What gems have you discovered? Let me know below.. I feel like I want to check out ebay for beauty stuff now! I'm definitely going to look at the makeup brushes and the cleaning glove! How do you clean your make up brushes?